Attorney Thomas Pappas, representing the Counsel for the Public, questions Mitch Nichols, of Nichols Tourism Group during adjudicative hearings before the Site Evaluation Committee Tuesday on the Northern Pass Transmission Project. CONCORD — A tourism expert hired by the developers of the Northern Pass Transmission project says the project will have no measurable effect on the state’s tourism industry. But attorneys for intervenors in the $1.6 billion transmission project questioned whether Mitch Nichols of Nichols Tourism Group of Bellingham, Wash., addressed critical issues such as traffic delays, detours, visual impacts and access to businesses and attractions to determine real impact on tourism. Nichols maintained in his 20 years of experience in the tourism industry, transmission lines have never been a concern raised by any of his clients and there are no studies anywhere linking the lines to a decrease in tourism. “Visitors understand transmission line are part of traveling’s reality today,” Nichols said. Nichols said his research found visitors come to New Hampshire because of the diversity of experiences, the ease of access and its affordability. Attorney Amy Manzelli, representing the Society for the Protection of New Hampshire Forests, cited a study Nichols did for the state in the early 2000’s touting the state’s beauty and aesthetics as key reasons people visit New Hampshire. You found New Hampshire’s greatest strength was access to mountain, lakes and rivers, and forests and quaint towns and villages, she said, noting the state was ranked number one in New England for fall foliage and its scenic natural beauty. Nowhere in the report were transmission lines discussed, Manzelli noted. 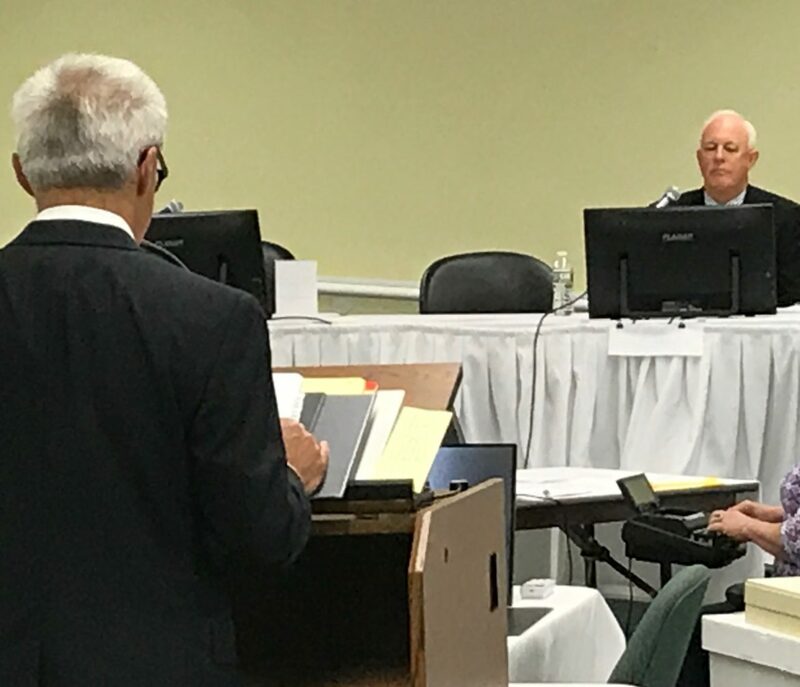 Manzelli and attorney Thomas Pappas, representing the Counsel of the Public, questioned why Nichols had not specifically discussed traffic delays and how that might impact tourism. They noted that the construction season when Northern Pass would be built coincides with the peak tourism season. “Would you agree first impressions are important in the tourism industry?” asked Pappas and an unexpected traffic delay could make a difference whether a visitor returns. Nichols said he would not agree with Pappas’s assumption. Nichols said tourists decide more on the broader experience. If someone goes to a festival and they are stuck in traffic, that would not deter them if they enjoyed the festival, he said. The attorneys also questioned how thorough Nichols had studied various areas of the state and the impact Northern Pass might have, particularly the locations along the route from Canada to Deerfield where it would be visible. But Nichols disagreed saying he did look at different regions and included that in his overall conclusions. Pappas suggested the greatest impact would be within the three regions where the transmission line would be located, and not so much in Manchester or Nashua or Portsmouth or Keene. Kaitlyn Woods, project spokeswoman said Nichols took a more global approach to tourism to look at the overall impact of the project. Without a doubt, she said, nothing shows the project would impact whether people visit New Hampshire. Hearings on the $1.6 billion, 192-mile, high-voltage transmission project will continue Wednesday with a public comment period Thursday. The developers of the project plan to bring 1,090 megawatts of Hydro-Quebec power to the New England grid and hope to complete permitting this year with the line operating in 2020.